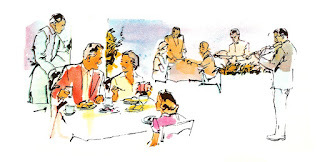 What lovely restaurant illustrations! 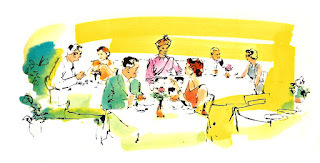 I created these digital dining images from a vintage, 1966 cookbook. 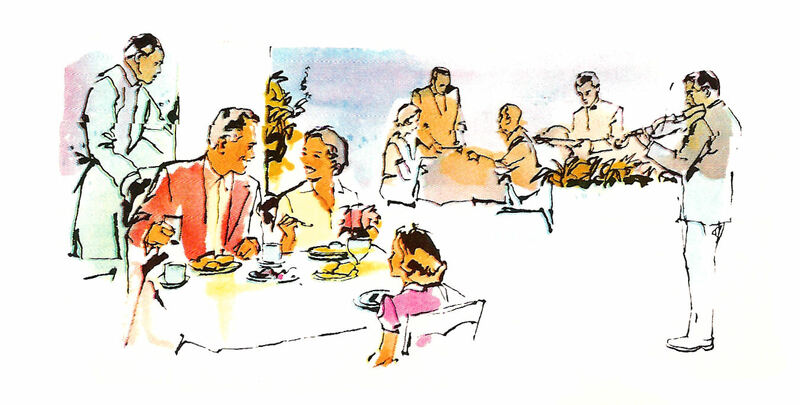 I love the mid-century, vintage look of these dining illustrations. The backgrounds look as if they are watercolor paintings. 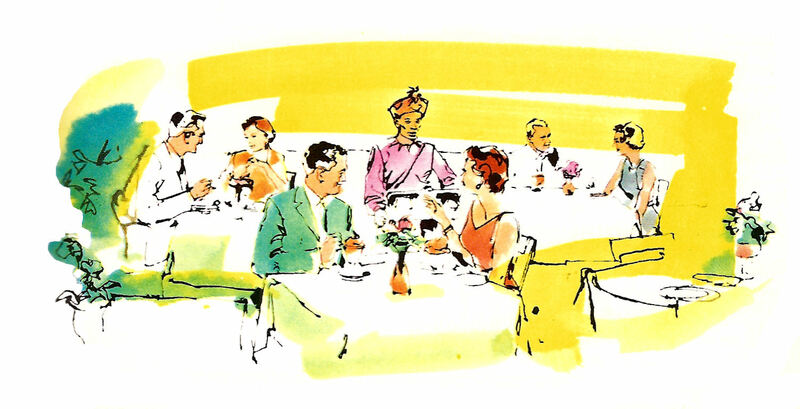 I think these digital people clip arts would be great in a scrapbooking project celebrating the memory of a wonderful party, especially one had at a restaurant. 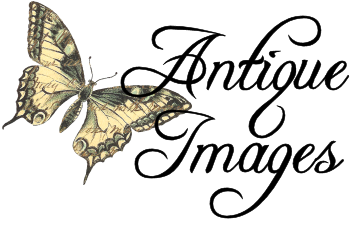 I hope you enjoy these digital dining illustration in one of your projects! Love the mid century images. Thank you for sharing.